Tired of dirty floors, odd smells and dusty air? 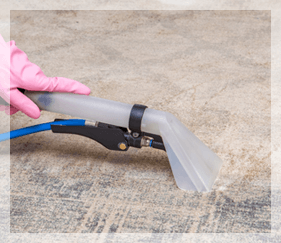 From single family homes to large commercial properties, our advanced steam cleaning methods can tackle challenging environments, tough stains, and powerful odors - without damaging sensitive carpets & floors. For the past 29 years, we’ve built a reputation for on-time service, reliable scheduling, & incredible results. I love Sano Steam! They will exceed your expectations and then more. They are always punctual and they work very hard. They take their time to do their best job and our guy was top notch! Better than I expected from start to finish. They were timely, professional, and efficient and they made it look easy! I have hired them in the past and I would definitely hire them again! Bill & Mike cleaned my carpets, carpeted stairs and tile floor. They look brand new! If you have a high traffic area that need special attention, call Sano Steam. You won’t believe the results. Amazing transformation of a dingy carpet to one looking practically brand new. Sano did what they said, when they said. Highly reliable and trustworthy. At Sano Steam of North Carolina, we offer our customers the most effective cleaning solutions, all with highly-efficient and professional service. We serve single-family homes, multi-family properties and businesses of all kinds with both one-time services or regular scheduled cleanings. From deep carpet cleanings to complete restorations for water-damaged areas, our promise is to always leave your floors and carpets looking brand new! Our advanced cleaning method are gentle, yet effective, and are great for tile, grout, hardwood, and carpets of all kinds. Nothing is more frustrating than scheduling a service appointment and then waiting around for a technician who is running late, unresponsive, or downright unprofessional. At Sano Steam, we are committed to reliable communication, on-time service and the utmost professionalism. In our years serving the Carolinas, we’ve developed a reputation for being a team you can count on to show up when we say we will, and deliver results that you have to see to believe. We take pride in being known as the team that you can count on, and we would love the chance to show you how we do business! Questions About Our Cleaning Methods? Fill out the form below & we'll get back to you shortly! Are you a hardworking entrepreneur looking to start your own business? Sano Steam is now offering franchise opportunities with impressive ROI & unlimited growth potential. The contents of this webpage are Copyright © 2019 Sano Steam Cleaning & Restoration. All Rights Reserved.